Teeth whitening is a predictable, safe, non-invasive method of improving the colour of your teeth. 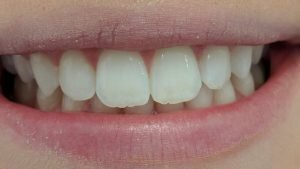 We use Professional Home Whitening to achieve this, using Carbamide Peroxide gel in bespoke trays to gently whiten the teeth over the course of a week or so. Who can have teeth whitening? With the exception of pregnant women and under 18s, anyone can have their teeth whitened. As we age, teeth naturally darken and the non-invasive whitening technique is a great way to defy the ageing process. We need to make sure the teeth and gums are all healthy before starting your whitening, so we will check this at your consultation appointment. Will I end up looking unnatural? Only if you want to. By whitening gradually over several days, once you reach a shade you are happy with you can stop. This may be just a subtle touch lighter, or the full Hollywood look. It’s completely up to you. Usually, teeth whitening would be carried out as ‘home whitening’. 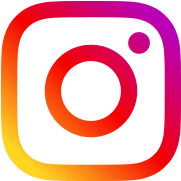 We take impressions of your teeth to custom-make your whitening trays. We give you the trays, syringes of whitening gel and application instructions. You then whiten your teeth at home for as many days as necessary to achieve your desired shade. Usually 5-10 days is sufficient. An alternative method is ‘in-surgery’ whitening (also known as laser whitening or instant whitening). A stronger whitening agent is applied directly to the teeth in surgery and activated by a lamp, usually for around 30 minutes. However, this method is not normally recommended as the final shade is less easily controlled, and you may experience more sensitivity. Around 2 years. After this, the colour starts to fade back towards the original. However, if you keep your custom-made trays, you can buy more of the gel very affordably at your next visit to Market Place Dentistry. Yes (so long as you follow the instructions we give you). It’s a tried and tested method, with a long track record. Teeth whitening is the safest form of aesthetic dentistry. This is because it is completely non-invasive; no drills are used as with some other treatments. The whitening gel we use is safe. Some people may experience temporary teeth sensitivity but this is usually easily managed with sensitive toothpaste. Excessive use of the gel can cause gum irritation if instructions are not followed. There is no lasting damage to the teeth. Following whitening, your teeth will be just as strong as beforehand. Will my crowns and fillings whiten? The whitening will only affect natural enamel and dentine. However, if you have existing crowns or fillings, we can usually change these for lighter ones to match your new lighter shade afterwards. Before you start whitening, your dentist will identify any visible restorations (crowns, veneers, fillings) which may need to be changed after the whitening treatment. We will discuss this with you at your consultation. 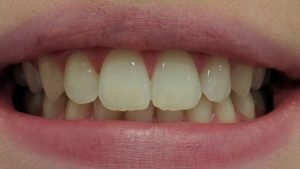 Can I whiten my one dead, discoloured tooth? This uses a slightly different technique where whitening gel is sealed inside the tooth for 2 weeks. It is usually reliable and predictable, but may need to be repeated periodically. Should I consider beauty salon/internet whitening? With these options, there is no guarantee of safety as your treatment will not be supervised by a registered dentist. The supplier of whitening gel would be unregulated so this may be at best ineffective or at worst dangerous. This practice is illegal for non-dentists and the General Dental Council are trying to protect patients by putting a stop to non-dentists offering this treatment.